I think it's a pretty short straightforward arcade game: just hold down the left mouse button, move your mouse to aim, and try to hit all four targets. 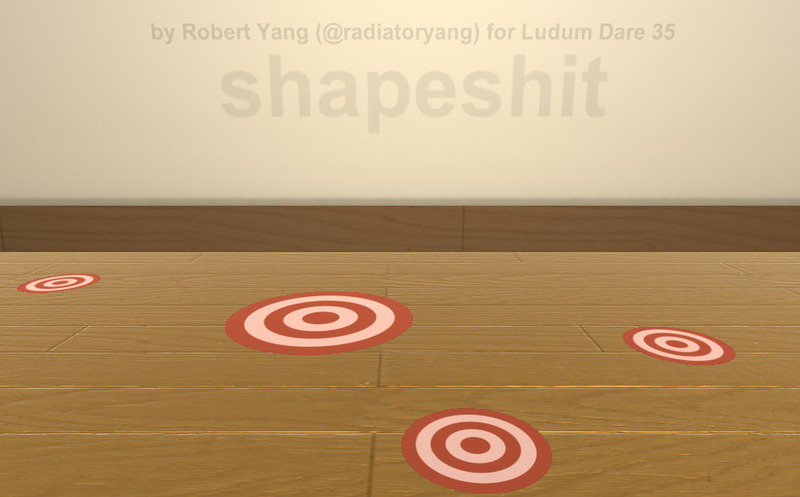 You can play an in-browser WebGL version on the Ludum Dare entry page, or over on the itch.io page... and that's pretty much all there is to it. This isn't a very deep or intellectually complex game. Some of my friends tell me I'm the Robert Mapplethorpe of games, but sometimes I think I'd rather aspire to be the John Waters of games? Things I still have to do: add some audio and sound, and maybe push out some Windows / OSX / Linux desktop standalone builds. I'll probably wait until after the jam for that.